THE new Chandler bodies, the most beautiful of the season’s offerings, are attractive indeed. The New York and Chicago Show crowds admired, and purchased in great numbers, the new Chandler touring car and the new four-passenger roadster. At all the shows the country over, the New and Greater Chandler has been the center of greatest attention. 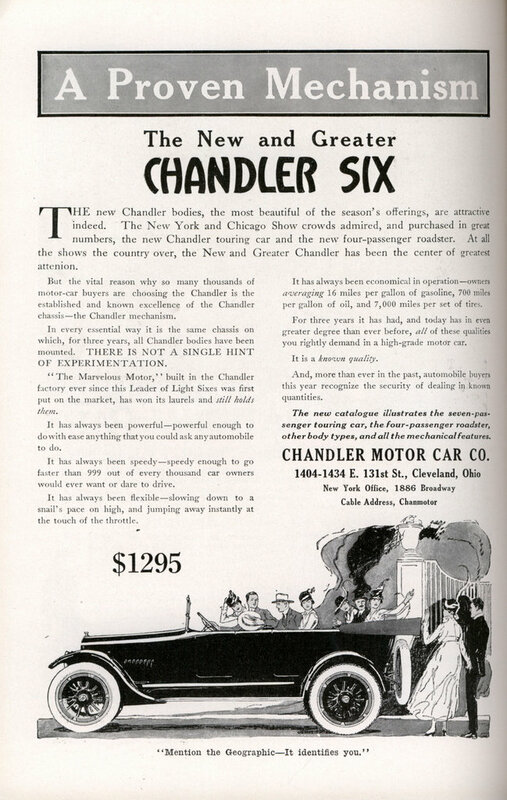 But the vital reason why so many thousands of motor-car buyers are choosing the Chandler is the established and known excellence of the Chandler chassis—the Chandler mechanism. In every essential way it is the same chassis on which, for three years, all Chandler bodies have been mounted. THERE IS NOT A SINGLE HINT OF EXPERIMENTATION. “The Marvelous Motor,” built in the Chandler factory ever since this Leader of Light Sixes was first put on the market, has won its laurels and still holds them. It has always been powerful—powerful enough to do with ease anything that you could ask any automobile to do. It has always been speedy—speedy enough to go faster than 999 out of every thousand car owners would ever want or dare to drive. It has always been flexible—slowing down to a snail’s pace on high, and jumping away instantly at the touch of the throttle. It has always been economical in operation—owners averaging 16 miles per gallon of gasoline, 700 miles per gallon of oil, and 7,000 miles per set of tires. For three years it has had, and today has in even greater degree than ever before, all of these qualities you rightly demand in a high-grade motor car. It is a known quality. And, more than ever in the past, automobile buyers this year recognize the security of dealing in known quantities. The new catalogue illustrates the seven-passenger touring car, the four-passenger roadster, other body types, and all the mechanical features. Seven thousand miles per set of tires. It’s lucky they didn’t drive much back then. Not to mention 700 miles per GALLON of oil. That’s 187.5 miles per quart, or one oil can every 3 hours on the highway. 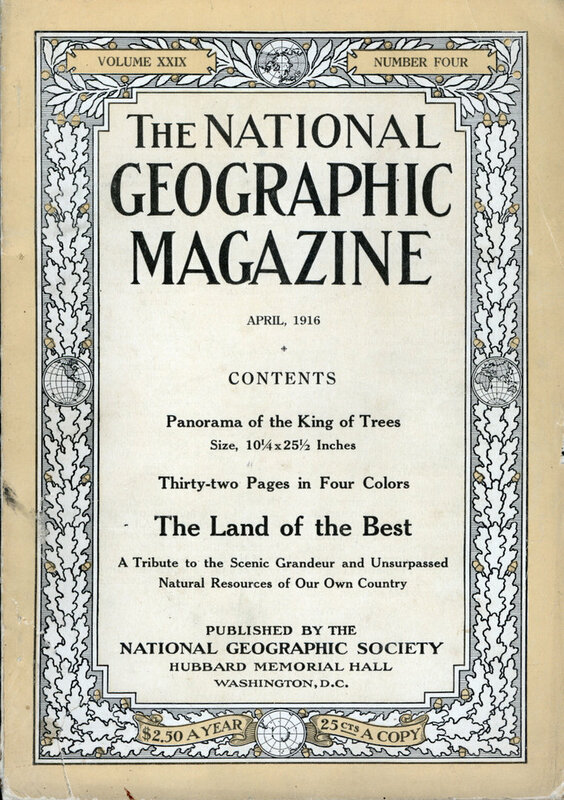 @ Toronto – In 1916 what highway? You’re right! I didn’t look at the date and would have guessed 1920-22 or so by the drawing. (Although when I look at the door height I can see it’s a bit earlier.) Nice lines. The company was bought out by Hubb (who made the car that’s on the label of Alberta Pilsner.) Sheet steel on wooden frame – light but not long lived, I imagine.